Kissing Her Crush is sweet as can be, which is no surprise since there’s plenty of chocolate involved. Ophelia London’s second Sugar City story is a fast-paced, enjoyable crushes-to-lovers story. Natalie Holden is a scientist for Hershey who has finally succeeded in getting lab space for her pilot trial. She’s determined to prove that a specific type of cocoa, when combined with a rare Amazonian root, can safely help teenagers with depression. The only problem? Her high school crush, Luke Elliott, is a microbiologist who has been sent by the NIH to proctor her project. There’s instant attraction when Natalie and Luke meet again, but not only do their jobs mean they can’t get involved, Luke – a health nut – happens to think Natalie’s theory is bogus. What could be a recipe for disaster instead turns into a sweet, fun love story. Luke and Natalie are a cute couple, but they have to overcome professional differences and Luke’s issues (that come courtesy of his ex-wife) if they hope to get their happily ever after. Natalie and Luke are likeable characters and thus their romance is enjoyable. What keeps me from rating Kissing Her Crush higher is that the romance isn’t very memorable. I was far more taken with Natalie and Luke’s jobs than I was with their love story. Ms. Landon made their work sound utterly fascinating and I could have happily shelved the romance in favor of seeing more of their careers. I was also quite taken by Natalie’s relationship with her family, specifically her brother, the reason she is so dedicated to her work. In short, pretty much everything about the book stayed with me except the love story. This wouldn’t necessarily be a bad thing if Kissing Her Crush wasn’t a romance. Perhaps with a bit more development and a bit less predictability the love story could have been taken to the next level. 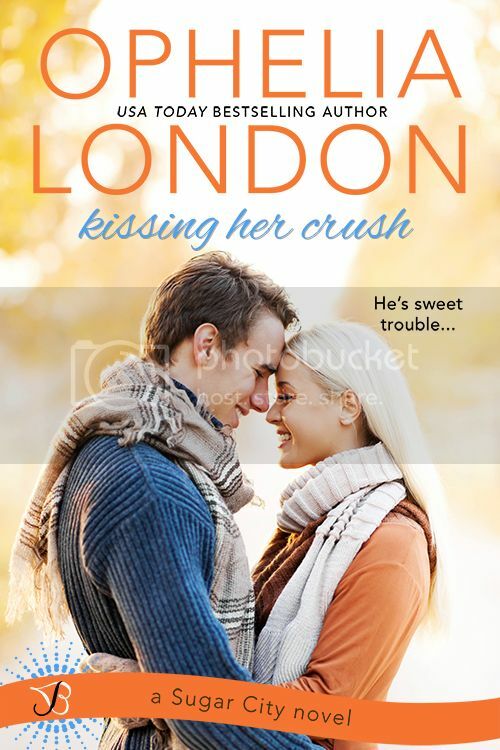 Still, as it stands Kissing Her Crush has a lot to offer and I would definitely read more of Ms. London’s work.